Medical workers who served with UN peacekeeping troops in Bosnia recalled painful memories of war and joy at seeing peace as they returned to join a Canadian veterans’ bike ride through the country. 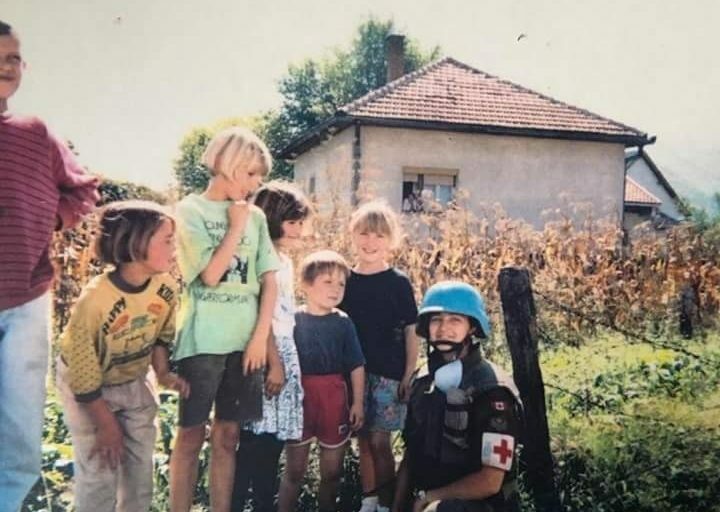 “For me, this was an opportunity to do something good, to try to help injured people,” said Linda Chouinard, recalling why she signed up for the UN’s peacekeeping mission in Bosnia and Herzegovina in 1992 as a medical assistant. 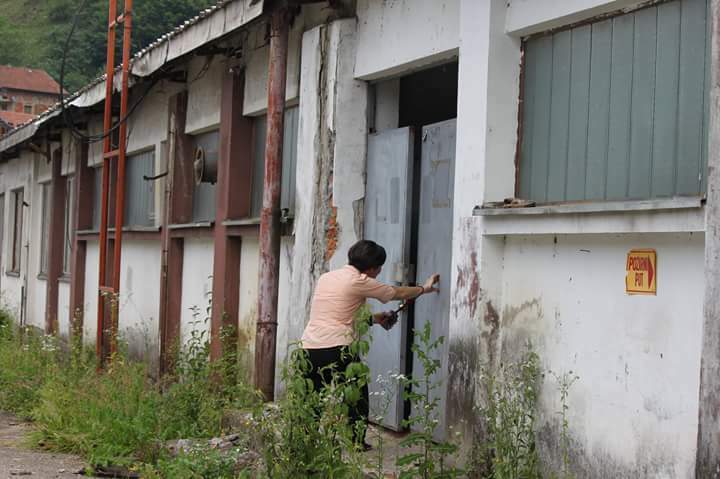 But on her arrival at a UN camp in the town of Visoko that year, Chouinard wondered whether it was such a good idea after all when she realised there was really a war going on. She recalled that the new arrivals were not able to sleep during their first nights there because of the noise of battle. Another Canadian medical assistant, Daniel Fortin, who worked with Chouinard at the UN camp in Visoko, admitted he was afraid when he first heard all the shooting and shelling. “But after a couple of days you leave it all aside and concentrate on your job – and that was taking care of people,” Fortin said. Chouinard worked in the intensive care unit during her first month, but she also joined an aid supply convoy in Kiseljak, where one of her fellow UN peacekeepers died. “For me June  was the hardest month, because we lost our colleague who got killed with a handheld grenade launcher,” Chouinard said, explaining how his death made her realise that even UN peacekeepers were not safe from harm in Bosnia’s war. Several years after returning to Canada, Chouinard discovered that she was suffering from post-traumatic stress disorder as a result of what she had experienced. “My symptoms were more like those of depression. At some point I was incapable of working… I lost my spouse, I lost my job, I lost everything,” she said. But she said that her return to the country this month to participate in the Wounded Warriors Canada organisation’s Battlefield Bike Ride through Bosnia and Croatia has helped her deal with the memory of her colleague’s death. “I have had to cope with it for many more years and I am very happy because my return has given me a chance to see the place where he was killed. His name is there on the memorial board. This has helped me. Honestly, I feel much better now,” she said. Fortin said that he spent a month in Srebrenica giving medical support to 400 UN soldiers, although he also had the opportunity to help the local population as well. “A child stepped on an infantry mine in Srebrenica and injured his leg. We went to get him and I was in a position to start an intervention that probably saved his life, because he was really close to death,” he recalled. He said the hardest part of his deployment was looking at suffering children and elderly people and not being able to help them. Children not smiling or playing but looking for food are some of his most painful memories of those days, he added. On his last of his three missions to Bosnia, when he worked at a Canadian camp in Velika Kladusa in 1998, after the war ended, Fortin spent more time at the hospital. “For me, the 1998 mission had a healing effect, because I saw children going to school with lunch and people returning to their normal lives,” he said. Wounded Warriors Canada, an organisation that aims to honour and support sick and injured Canadian Armed Forces members and veterans, has brought back 25 people who served in the Balkans to join its Battlefield Bike Ride, which began in Sarajevo last weekend and concludes in Medak in Croatia on June 16. Seventy-five other Canadian cyclists are joining the ride too. Canadian troops were deployed in the former Yugoslavia to serve with various UN and NATO peace operations in Croatia, Bosnia and Herzegovina, Macedonia and Kosovo until 2005. A total of 23 Canadians died during the country’s missions in the Balkans, and many more were injured. “They experienced the horrors of civil conflict, ranging from being taken hostage, used as human shields to prevent NATO airstrikes, collecting evidence for war crimes, securing mass graves, and assisting patients in hospitals that had been abandoned,” Wounded Warriors Canada said in a statement. Chouinard and Fortin arrived in Sarajevo several days before the bike ride started and visited some of the places where they used to serve more than 20 years ago. “I thought I would be sad, but both of us are so happy,” Chouinard said.